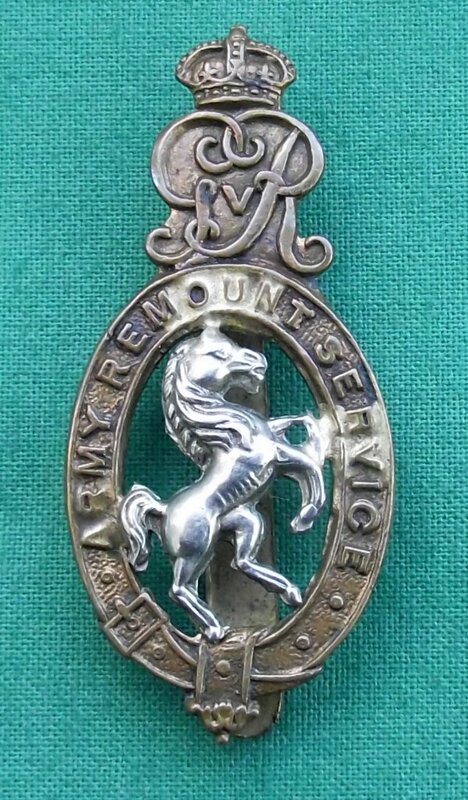 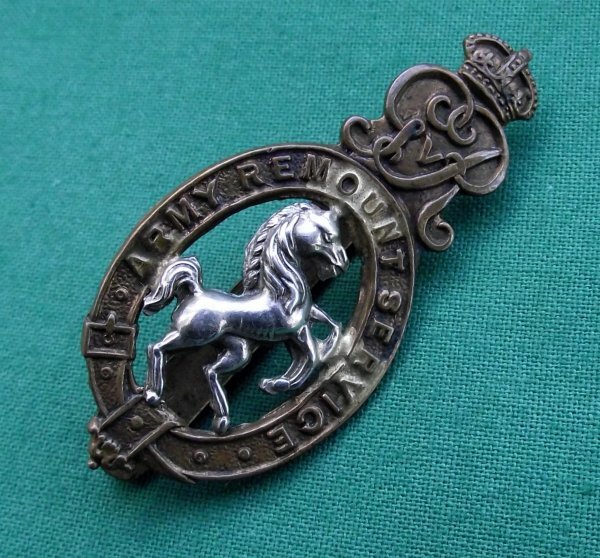 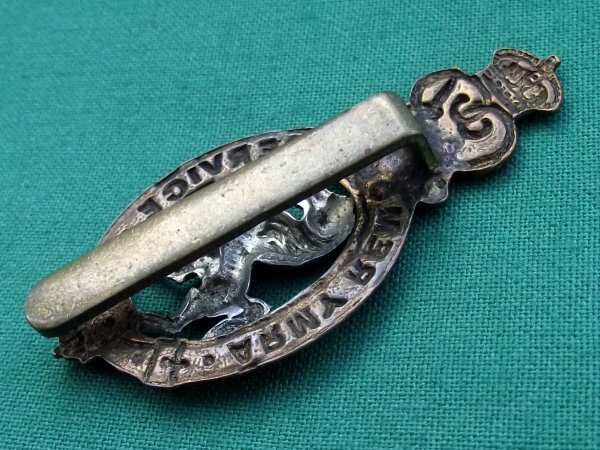 A 100% Genuine Bi-metal, King's Crown/GvR Cap Badge, to The Army Remount Service. 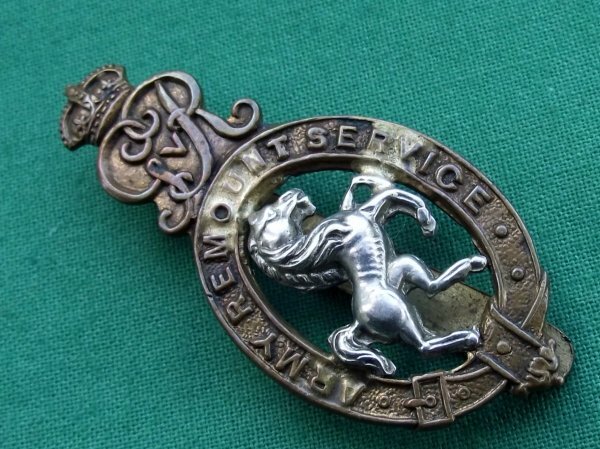 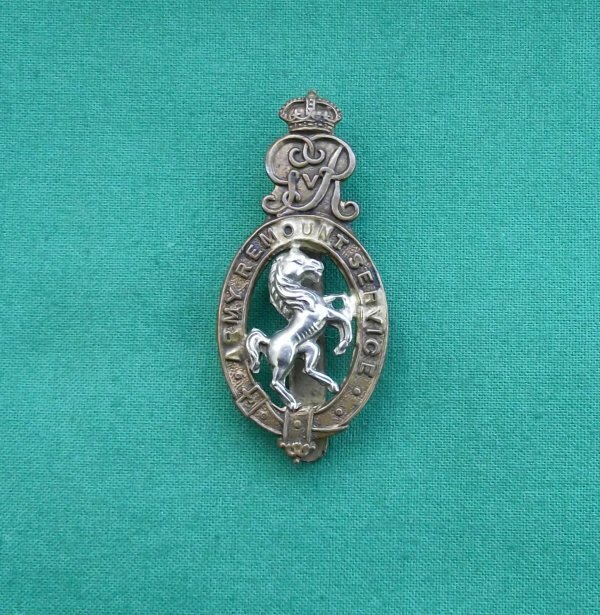 In Superb Used Condition, has some braze spilt to the face of the badge, which is quite common and an indication of an original item (it will not notice as much if the badge is cleaned slightly). 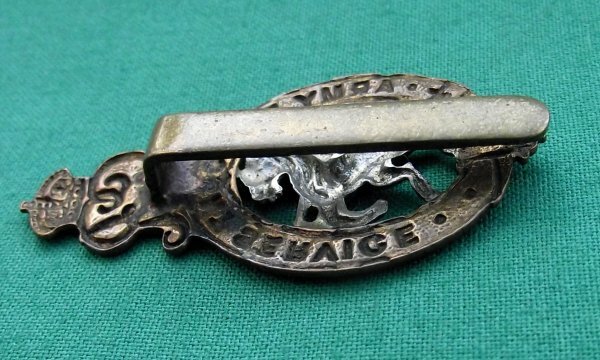 Original Slider fitting intact! 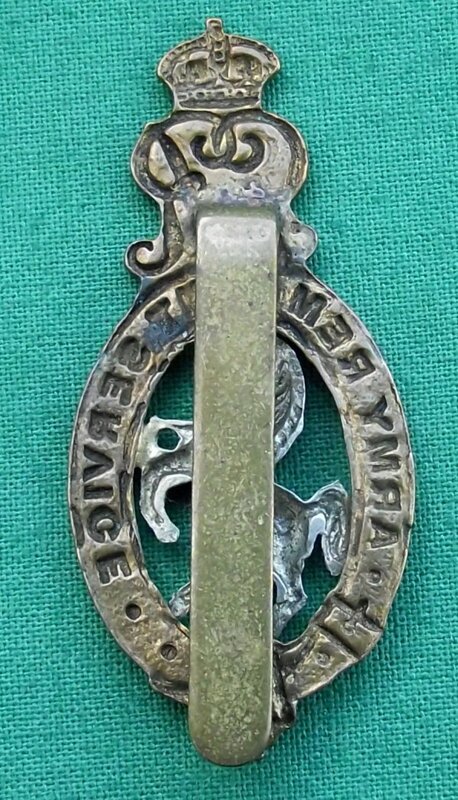 Measures 25 x 54 mm.